Went back to KL.. and have heard about this Beer Cafe in blogs and people around. It was an interesting place to check it out. I ordered 1 pint of Hoegaarden beer which cost RM32.00. its expensive. And my friend ordered Irish Coffee (mix with whiskey).. for RM18.00. Unless you are a coffee lover, and like bitter taste of coffee… this is a good recommendation for you. For tidbits we had Waffles …around RM12.00… not a recommended because the portion is rather small..given two pieces. I would rather you to go for Waffles in A&W. But I would recommend for fries, cost around RM8.00. … I like fries that are thick and big. Like the american fries. Not like those selling in McDonald’s. Going back to the environment, what i don’t like is there was no music for those sitting at the outside. In my next round back to KL, i would like to try the inside sittings. Every time when i travel back to Kuala Lumpur, every time, i will not miss the crabs at Fatty Crab Restaurant at Taman Megah. Most of the time, i have it with my mum as she too enjoy eating the crabs there too. Far far FAR better than the Chilli Crabs dish that Singapore Tourism Board has been promoting! That is why, I tell you ahhh…. Malaysian food is still the best of the best. If you’re from Kuala Lumpur or a Selangorian very high chances you have tried this restaurant. 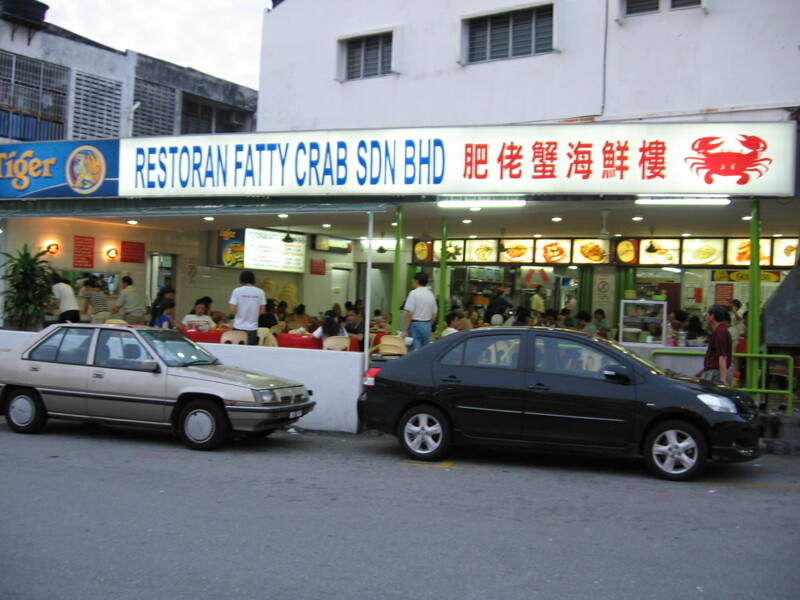 This Fatty Crab Restaurant has been established since 20-25 years ago? Operated by a family. 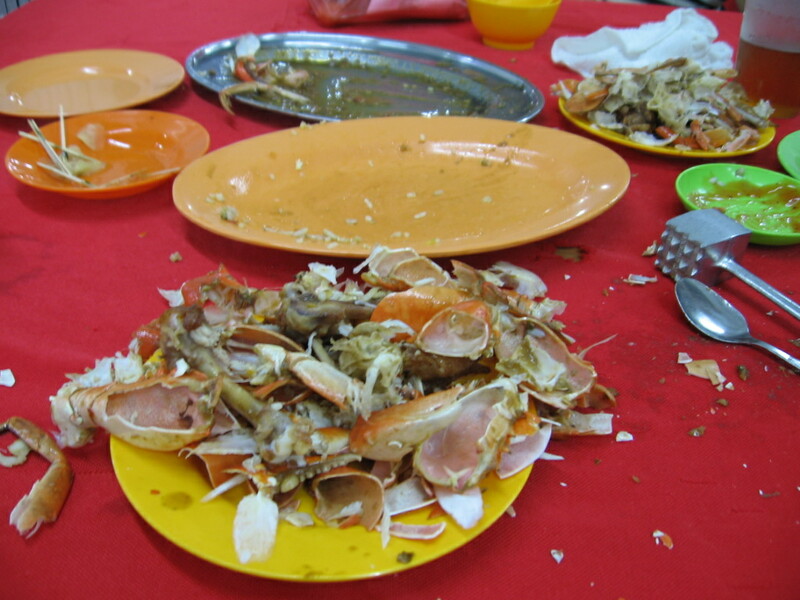 Very long time.. i remember I was still a young girl who has the difficulty peeling off the crabs shells! 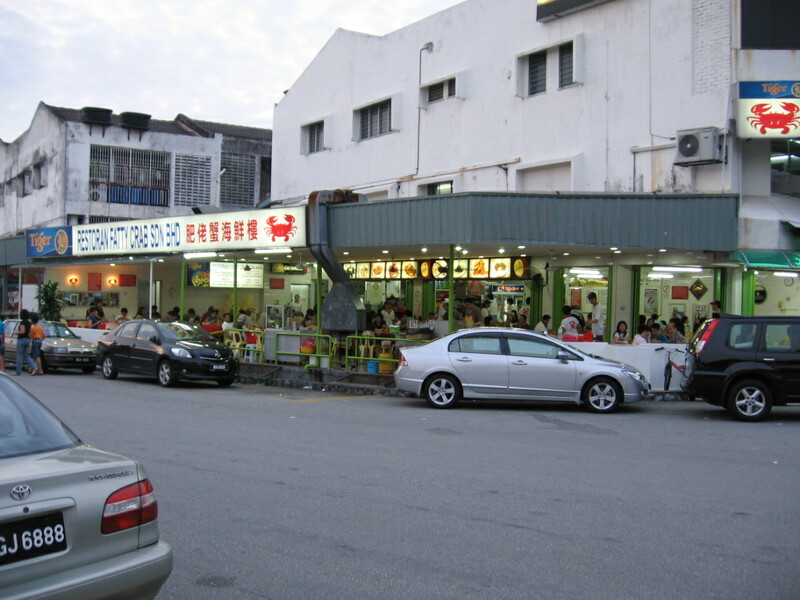 Previously was located at SS2 Petaling Jaya, it was a corner shop. They expanded their business and moved to Taman Megah where it has been operating there now since 10 years or so and still at a corner shop. 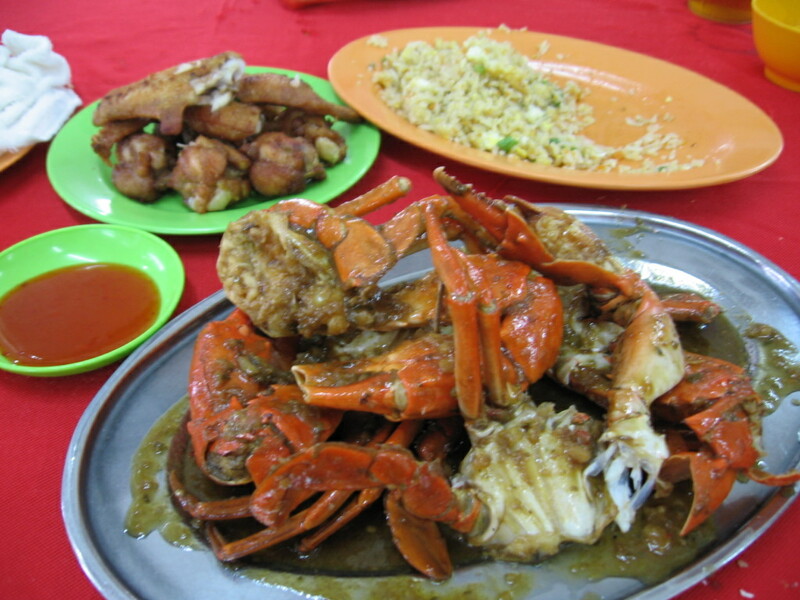 Not to miss my favourite crabs while i am in Kuala Lumpur, today i went there for the crabby food! The usual and standard dishes we ordered are Sour & Spicy Sauce Crabs, Chicken Wings and Fried Rice…oh ya.. and 1 century egg. These are the standard dishes every table of patrons would order. Ta-Da!!! Nice cooked crabbys waiting to be eaten... Ops! So quick, the fried rice half gone already! I know I eat like chicken, but you see, they are gone! The magic of David Copperfield! This restaurant has another branch, located near the Mines…. I think it is not own by the family because what they offer there and Taman Megah, has large differences… the crabs do not taste the same, they are selling other dishes there, environment different.. and etc. So, my advice, don’t go to the Mines. Get it?